AS we pointed out over the weekend [1, 2], the SFLC and FSF are in alignment with Richard Stallman's views on Mono and so are many others. But Bradley Kuhn has just made it more official with a long essay at the SFLC’s Web site. It’s a recommended read. In an essay last Friday entitled Why free software shouldn’t depend on Mono or C#, RMS argued a key point that I agree with: the software freedom community should minimize its use of programming language infrastructure that comes primarily from anti-software-freedom companies, notwithstanding FaiF (Free as in Freedom) implementations. I’ve been thinking about an extension of that argument: that language infrastructure created in a community process is likely more resilient against attacks from proprietary software companies. I think it is interesting that he thinks that it is the “‘best technology’ Linux camp” that is the camp that offers the greatest threat to Microsoft. I can understand why some may think that this is true since this camp is creating flashy and very useful products and features that increase the appeal of Linux. However, mono is not the only tool that the “‘best technology’ Linux camp” has at its disposal. Many view the use of the Qt toolkit as a better alternative, and one that does not have the risk associated with mono. Furthermore, I do not agree with the thought that “‘best technology’ Linux camp” is the one that Microsoft feels most threatened by. I think Microsoft is only threatened by the combination of both camps. I view mono as a distraction for FOSS developers. Yes, there are some practical advantages in its use, but there are a lot of questions surrounding it. It has the potential of dividing the two mayor camps of Linux contributors. It will be interesting to see what comes out of this controversy. Since Nokia’s Qt toolkit is mentioned above, here is what KDE developers say on the subject (mind the good comments) and here is what Jack Wallen thinks about Novell’s role. If Microsoft is threatening patents against .NET, it would seem to me that the Novell/Microsoft relationship didn’t really work out all that well. And now Microsoft is back to their old tricks. 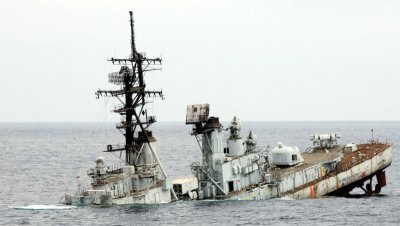 And what should the Linux and open source community do about this? Should another deal with Microsoft be made? Is the seamless communication between Linux and Windows worth making a deal with a partner that is only going to turn around and stab you in the back again and again and again? Although Stallman frequently speaks about the dangers of software patents on open-source, trust for Microsoft has run particularly thin recently because of the company’s legal attack on TomTom over a FAT patent dispute. Stallman urged the community to instead distribute and recommend non-C# applications whenever possible to avoid Redmond lawyers from being able to disable major OS functions on a whim. Microsoft neither retracted nor backed its accusations against Linux. Horacio Gutierrez from Microsoft said about Linux that “there is an overwhelming number of patents being infringed.” He named not even a single one, but Mono is an easy target and also a very unique one. 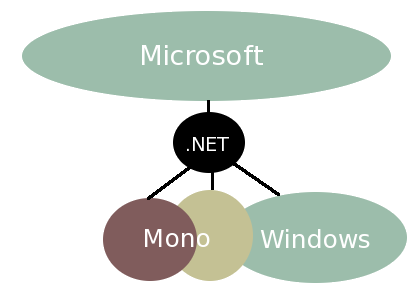 GNU/Linux users do not want Mono. Well, maybe with the exception of SUSE and Canonical, whose desktop engineering manager comes from Microsoft. In response to the many discussions stemming from Stallman’s essay, Canonical has published yet another statement about Mono. The Ubuntu Technical Board has been asked for a position statement on the use of C#, specifically the Mono implementation, by applications in Ubuntu. These applications, as well as the Mono stack, were proposed for inclusion like any other application and underwent the same review process that all new applications and platforms undergo before being accepted into the archive. With specific regard to the default installed application set, applications have been reviewed and compared against each other on merit and features. These often take place during the Ubuntu Developer Summits, most recently over the default media player. Remark: At this pace of abandonment, who will be left to lead? LAST week we saw the departure of at least two Microsoft executives [1, 2] (among around half a dozen so far this month) and joining this exodus will be the vice president of Services. Maybe it’s a morale problem. In other interesting news, the Seattle P-I shows that Microsoft employee benefits fell by a staggering 26% compared to last year. Microsoft’s assets available for employee benefits fell by $1.4 billion in 2008, shrinking by more than a quarter from the year before. The Redmond-based company’s funds available to pay out benefits dropped 26 percent to $4.01 billion in the year ended Dec. 31, according to a document filed Monday with the Securities and Exchange Commission. In 2007, Microsoft’s available assets for benefits amounted $5.43 billion. 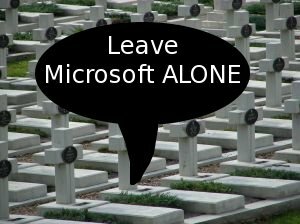 EARLY in the day we wrote about Microsoft discarding over 2,000 more employees and once in about a fortnight (on average) we see yet another Microsoft product being axed. The latest product which Microsoft axes has got a few hours left to live. That product is MSN Web Messenger. The site will go offline June 30. Microsoft made the announcement on its Windows Live blog. This may represent another defeat to Google (this time it’s videochat) and it resembles Microsoft’s loss to Google’s book-scanning initiative and YouTube too. The Microsoft-sponsored press is already showing this list of dead products which Microsoft has been accumulating. For anyone who’s never been there, the company has this great old courtyard in Redmond where for many years it placed plaques in the sidewalk for nearly every piece of software it shipped. SEVERAL WEEKS ago, the media industry used a really traumatic experience of pirates in Somalia to make a comparison to people who share files. Several years ago, Microsoft fraudulently also used the identities of deceased people to rescue itself from criminal investigation. In both cases, front groups were used. And now, ladies and gentleman, the monopoly from Redmond uses the death of Michael Jackson to promote Bing, Microsoft, NBC and other such brands. Sighted in New York City: A taxi sporting an ad for Bing and NBC that says, “We will miss you Michael.” That scrolled right next to the famous picture of Michael Jackson from the “Thriller” album cover. German city Munich got itself into the American newspapers a few years ago when the city council decided to start the project LiMux, aimed at gradually banishing Microsoft programs from the town hall computers & introduce Open Source software like Linux & Open Office onto all town hall workstations. This project was so succesful, other local authorities in Germany have now followed suit. It wasn’t too long ago, I told you the story of my experiences with Acer. Seems that articles I wrote about 3 years ago concerning Trusted Computing and the hardware/software nightmares implemented to enforce it came home to roost. We couldn’t get to the login prompt due to the Trusted Core sentry. These computers were in essence, doorstops. Linux Fund is pleased to announce that the BSD Fund Visa is available for application by US residents today at bsdfund.org. A percentage of every purchase made with the BSD Fund Visa card goes to events, software development and other initiatives related to the “Berkeley Software Distribution” family of operating systems. The BSD Fund Visa is offered in partnership with U.S. Bank of Minnesota and is also available as a student card. BSD Fund has provided financial support to BSD-related events around the world and is key supporter of the Portable C Compiler Project. 1. You’re tired of being bossed around by your computer. Would you tolerate your car refusing to start until you scanned in your pink slip every time to prove you bought it? Would you put up with parts of your house being walled off because only the architect was allowed access? Would you allow your doctor to withhold information in your medical file from you because it’s intellectual property? Then why do you put it with this from a computer you bought and paid for? As to the “coming cyberwar,” I do have concerns that the future may bring a whole host of new problems from belligerent agencies sponsored by governments or illicit enterprises, though I am not overly freaked out by it as some are. History has demonstrated that as soon as we invent something, we usually find a way to inflict damage or injury with that invention. With that in mind, I do take comfort in running Linux. Nothing’s completely bullet-proof, of course, but added security is always a good thing, at least for peace of mind. I have had a fair share of experiences with computing conferences and trade shows. Whether as an employee of a company that hired a stand at a popular event or as a neutral visitor ready to be swayed by the exhibitors’ eagerness to demonstrate their products, I have often found these fairs both educational and stimulating. Perhaps the only disappointment on these large shows was the fact that computers running a decent operating system were extremely rare, even non-existent. As a result, I longed for the day when I would attend a “real” computing exhibition, one where free software would be the dominant topic of conversations and where open-source operating systems would power every single computer on the floor. Great show, excellent ambiance, and authoritative presentations – that was LinuxTag 2009. Hope you can join us next year! You may struggle a bit – and these days its just a little bit at worst – in the beginning, but the more you learn and the more familiar you become, the faster and more efficient you get. This is a world filled with doors instead of Windows, and they swing wide open whenever you approach. Why do I use GNU/Linux? Are you kidding? When was the last time you tried Linux? Getting back to the title of this article. Ask yourself. When was the last time you tried Linux? If it is more than a year then maybe it is time for round two. If you have never tried Linux, possibly influenced by the negativity of out of date information, now might be a good time to see just how outdated that information really is. When you do try the latest distribution let me know what you think. I am very interested in learning your thoughts. Acer ships its Aspire One netbooks in both Windows and Linux versions. Meanwhile, Dell has a new line of netbooks out, which are available with either Windows or Ubuntu. Dell would like to have the same kind of success that Acer has had in the netbook arena, but that may take time, and Dell is suffering from a punishing business hardware buying environment. Mac4Lin is best Mac like User Interface for Gnome and Xfce desktops like Ubuntu/Xubuntu, Fedora, Debian and others, that will take care of absolutely everything (from icons, themes to usplash – loading window at start) to look just like Mac. With this package comes: dock, the GTK theme, Emerald theme (3d window borders), new icons, new wallpapers, taskbar image, GDM themes, cursors, themes for Pidgin, Firefox, music players and system sounds and you will be amazed of flexibility and customization of Linux system. By default, Ksplice shows up in your system menu-bar so you can keep an eye on what’s happening with your updates. While Ksplice itself is open-source software, and the service for individual users is free, you’ll need to pay a service fee if you’re a business using Ksplice to keep your servers up-to-date. 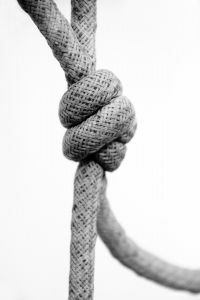 Since Ksplice doesn’t require any changes to the Linux kernel I strongly suspect you’ll soon be seeing its technology used with other Linux distributions. After all, as great as Linux is about letting you run for months on end without wasting time or money on a reboot, it will be even better when we can run Linux for years without rebooting. Great praise to the awesome Philippe Guillaume and his brilliant crew. Pianoteq is simply amazing. Its sound quality is excellent, its user interface is attractive and invites interaction, the add-on instruments are wonderful, et cetera, et cetera. It’s not free and it isn’t open-source software, but its developers are certainly interested in the open-source community of music makers. In this community member’s opinion, Pianoteq for Linux gets four out of four big stars (or Emperor penguins, take your pick). Need to whip up a quick screencast? You might want to use Krut for the job. This cross-platform screen recording tool has virtually no learning curve, and offers a few useful features that can help you to create high-quality screencasts with consummate ease. Krut is written in Java, so you have to install the Java Runtime Environment on your system before you can run the utility. Krut requires no installation, and you can launch the application by simply running the KRUT.jar file. Linux is just one of the great things that everyone should know about. If you ever experienced one of your kids saying “Daddy, what should I do next, I’m bored”, then you’ll appreciate the great number of free and wonderful educational programs available on Linux. The apps shown here are KDE based but should work in most if not all Linux distros and desktop environments. My recommendation – You can install Edubuntu and get many of these apps, or if you’re just looking to add a kids ’section’ install Kubuntu or your favorite KDE desktop (Debian, Mandriva are excellent choices, see our reviews in the Linux tools section). Then jump over to your package manager and select these games to install. Which version control system is best for you? Version control systems are indispensable if you’re working on a multi-person project, and they’re pretty damn useful even if you’re just working solo. Keeping a full history of the changes you’ve made gives you a basic backup and enables you to revert back to an earlier version if you screw something up. But with so many options available, from the rather dated CVS onwards, which one is best? What about distributed versus centralised? Read on as we look at three of the big names – Bazaar, Subversion and Git – to give you an idea of which one might best suit you and your project, whether that’s large-scale software, small-scale coding, keeping track of config files or anything else that might spring to mind. Welcome to the seventh Linux gaming compilation. Hopefully, you will like this one as much as the others. I have carefully selected today’s titles, and I believe you’ll be pleasantly surprised by the repertoire. The long-awaited Wolfenstein: Enemy Territory is finally here. Then, there’s the masterpiece UFO: Alien Invasion, a remake of the legendary UFO: Enemy Unknown. Fans of board games, including 3D board games, will also like today’s choices. Racing fans won’t be left in the dry, either. We will talk about Liero and Liero clones, two other FPS, a number of arcade games, and more. It should definitely be interesting. Eschalon is a turn-based RPG (role-playing game), which tries to reproduce the feeling of classic RPG games. It’s closed-source, available for Linux, Mac OS X and Windows, and it comes with a demo too. The full version is available as a download for $19.95. FreeTumble is a free 2D Puzzle game with hardware accelerated graphics from Seby and Suiland. It is based on Collapse, and features 3 different game modes, nice visuals and music and bonus. FreeTumble is available for Linux and Windows in English, French and German. Many KDE 3 users depended on Krun, a simple yet effective application used to execute commands. Executed simply by pressing “Alt-F2″, it was much easier to start applications using it, rather than navigating through a launch menu or opening a terminal window. The only catch with Krun was that you had to know the exact name of the command you intended to launch. With the advent of KDE 4, that has all changed. A while ago I wrote an article called 13 Terminal Emulators for Linux, where I briefly reviewed all those popular shell-like applications and a few flavours of xterm or rxvt. In this article I will talk about Yakuake, a powerful terminal application for Linux, and also the KDE counterpart of Tilda in GNOME. Just a few months removed from its 1.2 update, the latest version of the GeeXBoX LiveCD has added multi threaded video decoding for MPEG-1/2/4 and h.264, which should finally let all users decode even 1080p video on dual- and quad-core systems running Linux. Linux advocates like to brag about the number of choices people get with open source software. Windows offers very few choices, beyond dropping to your knees and begging “please, PLEASE let me keep XP! How much is a downgrade from Vista?” And Mac World even locks you into the hardware. If you have an old machine that you want to make functional, the leaders are Puppy Linux and Damn Small Linux. I found Puppy just a little bit easier and have it running on one machine. And if you have kids, Qimo is very good. It’s also Ubuntu based, but it installs with a kid-friendly interface: large icons and lots of educational games. It also works well with older low-resource machines, a smart move since the kids often get the hand-me-down computer. The New PCLinuxOS Magazine, which comprises volunteers from the PCLinuxOS community is proud to announce the release of it’s July 2009 edition. This edition brought forth several decisions from the new crew to bring it forth to a monthly release and the selection of a new Chief Editor, Paul Arnote aka parnote. I HIGHLY recommend that you get PCLinuxOS. Download it, burn it to disk, run the Live CD and then install it. You’ll be saying goodbye to all the Windows headaches of spyare and viruses. You’ll also be saying hello to a stable, secure operating system with thousands of software titles (like AudiKonverter) and a wonderful welcoming community of users. Qimo needs a minimum of 256MB of memory to run from the CD, or 192MB to install. At least 6 GB of hard drive space is recommended, and a 400MHz or faster CPU. Because of its very minimal system requirements, it’s a fantastic OS to install on that old PC sitting in your closet and put in your childs room. * Sugar, the operating system designed for the One Laptop Per Child project. Sugar is a radical departure from traditional desktops, with a strong emphasis on teaching programming skills, but is very strongly geared towards classroom use. Although I’m pretty comfortable using Linux, I’m afraid Sugar might be too different for me to help my nephew and niece make use of it. * Edubuntu is based on the popular Ubuntu distribution. Designed to be easy to install and very Windows-like in its operation, Edubuntu would be my first choice if I were using newer hardware. With its rich graphical interface, though, I worry that these years-old PCs, neither of which have graphic cards, will lag running Edubuntu. And given kids’ attention spans, I’m afraid that would be a major barrier to getting them to use it. 33 Children Review Sugar on a Stick, Squealing in Delight! Saturday was the end-of-year festival at my kids’ school and I hosted a Sugar booth. I had asked if I could set up my XOs and netbooks on a table for kids to interact with Sugar. It was also a way for me to celebrate the Sugar on a Stick, Strawberry Release from Sugar Labs. Say you don’t like something, then change it! We’ve seen lots of change in Red Hat and Fedora over the years, in terms of visual looks, feature sets, support and more, as the community has spoken and Red Hat has listened. That is why I believe that Fedora is a great distribution with a great future, and is most certainly a hat with a history. Welcome to the Ubuntu Weekly Newsletter, Issue 148 for the week June 22 – 28, 2009. In this issue we cover: MOTU Council, New Ubuntu Members, First Paper Cut milestone reached, Tracking Ubuntu Community Issues, Kubuntu Tutorials Day, Introducing the Ubuntu NGO team, Extra options when filing bugs, Ubuntu Podcast Quickie #7, and much, much more! Sound: The Altec Lansing speaker make all the right sounds: I am not sure that Altec Lansing should be claiming these speakers as theirs, but that is another story. They sound equally tinny on Vista. I fired up Rhythmbox and we listened to some Internet Radio for a bit. Boot Speed: Fedora 11 is making a lot of noise about their new 20 second boot speed. I tested it, and on my desktop Dell 945, it is 30 seconds: Same as Mint 7 on Dad’s DV9000. Battery: This dv9000 is only 9 months old now, but Linux reported that its battery was only able to charge up to 80% of its design capacity: Something Vista was reporting as 100%. And so forth: What a difference 6 months makes in Linux land. Dad was thrilled with the computer, and said that, other than to play a RealArcade game called WordSlinger, he did not see ever having to go back to Vista. I tried briefly to get that going under WINE, but it was acting very weird: Another thing to research! If God had intended Man to program, we’d be born with serial I/O ports. I recently decided to check out the newest release of Ubuntu Ultimate Edition, and I have to ask the question, is this really the ultimate Ubuntu? To find out, keep reading.To start, I am going to appologize to the person who did the remaster, as I am sure they are no going to be happy with what I have to say about this “distro”. It appears that Ubuntu is still the most popular Linux distribution. According to some stats, it’s more popular now than ever. That was it for my first month ever with Ubuntu only. Did it work? Yes. Did it make a difference? a little. 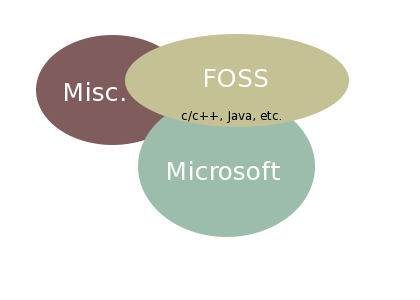 Operating systems are interchangeable nowadays, there are equivalent applications on any of them and the choice boils down to user preference (i.e. Usability with a capital U) and the limited availability of a few killer apps (which again are defined by the users and what they want to accomplish). And what count most for a user on the road is battery life, and after years of average 2-3 hours (with the occasional outlayer) there finally is some good news for the mainstream on that front. Why do Microsoft and vendors like ASUS continue to push the line that Microsoft Windows is the ultimate operating system for the diminutive ultraportable netbook market? The Windows 7 plan for netbooks is fraught with limitation and burdens. It’s time to bring back the penguin. You may have noticed that practically ever netbook running Windows has the same specs: 1GB of RAM, a 160GB hard drive, probably an Intel Atom processor, and a 9 or 10 inch display. That’s largely because Microsoft is offering low cost Windows XP licenses to PC makers selling netbooks that meet these specifications. It helps keep the costs down while providing netbook makers with an operating system that’s been proven to work well on low power computers. Last month I wrote about netbooks powered by the MIPS processor, originally developed by SGI. I also pointed out that the price for the Belco Alpha 400 had dropped to $149 last December and January. That is now the regular price for the lowest of low end Linux netbooks at Geeks.com. Last week they had a special and the price dropped to $139. In recent weeks, the OpenSolaris project has rolled out AMIs for Ruby on Rails 2 for application development, WordPress 2.7 for Web content management, and MediaWiki 1.14 for wikis. In April, Sun put a 64-bit version of OpenSolaris 2008.11 out for EC2, and it seems likely that a 64-bit version of the more recent 2009.06 release is due any day now. The most recent addition to the AMI jukebox for OpenSolaris running on Amazon’s EC2 is an OpenESB v3 stack, all licensed under Sun’s Common Development and Distribution License (CDDL). Are we mis-selling ‘open source’? No weird feelings, no dissonance, no FUD. To summarise. Child psychology warns us about exclusivity and what happens when communication clues move out of the strictly rational. Basically, when dealing with proprietary and FOSS software, start off with top level stuff and it starts off the exclusion conflict. “Open source is profoundly less expensive,” says Sims, citing the adoption of SuSe Linux, the Ingres open-source database, MySQL, and Hobbit open-source monitoring as changes that contributed to over 50% in IT savings in comparison to the proprietary software from Oracle, Microsoft Windows or HP OpenView that was replaced. Open source “is free but we do pay for support and services,” Sim’s points out, noting that Save Mart has established vendor alliances with Novell, Red Hat and Ingres to support open-source software the grocery retailer uses. Since 1999, SourceForge has the ‘go to place’ for all open source downloads, but in the last couple of years, Google Code has put up a bit of challenge. Remember also for a while there was this constant thread in media about how SourceForge had 100,000 project, though most had been abandoned. SourceForge.net now has 230,000 projects and if downloads are an indication, they seem to be doing just fine. We’ve discussed in great detail how the current ACTA treaty has been mostly driven by corporate interests as a way to sneak in more draconian copyright laws through international treaty, rather than through legislative means. When consumer groups have requested a seat at the table, they’ve been rejected, even as industry lobbyists have had no problem being active participants in the process. BPI Admits It Screwed Up Over Napster… But Why Should We Trust It Now? Except… that’s not true at all. As a recent Harvard study showed, the amount of money going into the “music ecosystem” has grown — tremendously. The only thing that’s dropping is the sale of plastic discs. In the meantime, considering BPI and others were so incredibly wrong 10 years ago, and they’re only willing to admit it now, why is it that they think everyone should trust them now — and that those of us who were actually right 10 years ago should still be brushed off as wackos who just want stuff for free? Perhaps it’s time to start actually listening to those who have been pointing out new ways to embrace what consumers want to do with music in order to make more money. The listed software company, Global Gaming Factory X AB (publ) (GGF) acquires The Pirate Bay website, http://www.thepiratebay.org, one of the 100 most visited websites in the world and the technology company Peerialism, that has developed next generation file-sharing technology. Following the completion of the acquisitions, GGF intends to launch new business models that allow compensation to the content providers and copyright owners. The responsibility for, and operation of the site will be taken over by GGF in connection with closing of the transaction, which is scheduled for August 2009. 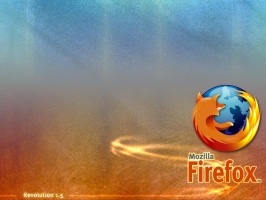 In order for records to be approached or even broken, if you are a Firefox user (about 60-70% of our visitors are), don’t forget to grab a copy of the latest great release some time before the end of the day. Having just installed it, the software looks fantastic and it’s faster than before. Out of the box it also plays all those embedded Oggs we’ve spread in pages since last year. Plug-in developers will hopefully regain compatibility shortly. In Europe Windows 7 will cost 41% to 100% more than in the US. “It suggests that Vista 7 marketing is scam that many shops participate it.”To put it in finer details, “What they are doing is charging more for versions of Vista that come with the upgrade discount form and it’s usually in the OEM version, so the price is hidden in the total cost of the PC. 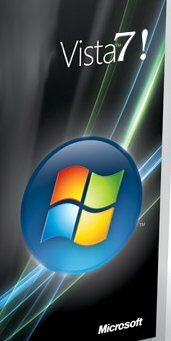 [The] cost of Vista Business with Win7 upgrade form is $190. Our cost price INCLUDING tax for Vista Business without the Win7 upgrade form is $150. Anyone buying a PC with Vista believing they are getting a “discount” Windows 7 upgrade are being swindled. Only the most arrogant and self-assured monopoly can get away with this sort of disgusting scheme. Everyone should be told about the prices they are actually charging OEM’s and resellers. “Many Windows users are actually looking at it thinking they will put up with Vista and then upgrade to Vista7 at a discounted price. But there is no discount, they’re being conned. Doesn’t worry me though. I’ve learned from customers today that other retailers are pushing it. I’m the only one who told them the truth. And they’re angry.